Valérie MAZAS joined the firm in 1995, and for five years she was responsible for the management of business law litigation cases. In 2000 she joined the Communication Law department and she advises communication agencies in the drafting of their contracts (collaboration contracts, copyright assignment contracts, personal portrayal contracts) and assists them in validating their campaigns or their operational marketing programs. 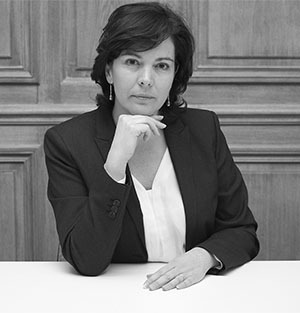 Admitted to the Paris Bar in 1995, Valérie MAZAS holds a post-graduate degree (DESS) in business Law and Taxation from the University of Paris I - Panthéon-Sorbonne.